NavKit is the TomTom navigation engine that is used in the latest TomTom Go products and licensed to automotive customers. It contains hardware accelerated 3D map visualization, free-text-search, a new routing engine and connects to the LIVE traffic services. TomTom requested Hightech ICT to develop a reference application for their NavKit navigation engine, mainly focusing on Android. A complete reference navigation application is created and tutorials that explain the most important parts of the API in more detail. To get customers started quickly, a library is delivered that give access to the NavKit API in a modular and scalable way. 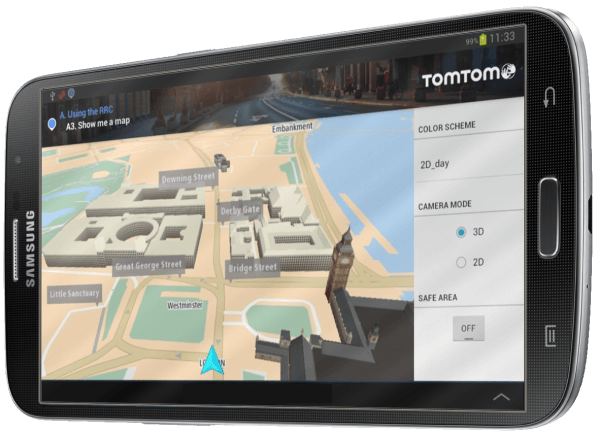 All Android applications and libraries are delivered as Java source to the TomTom customers.